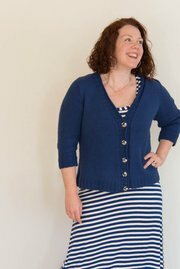 The Spruce Point Cardigan was both featured in its hourglass form at my 2016 make. wear. love. west coast retreat, and part of my spring 2018 "Remarkable yarns" collection in an a-line silhouette. 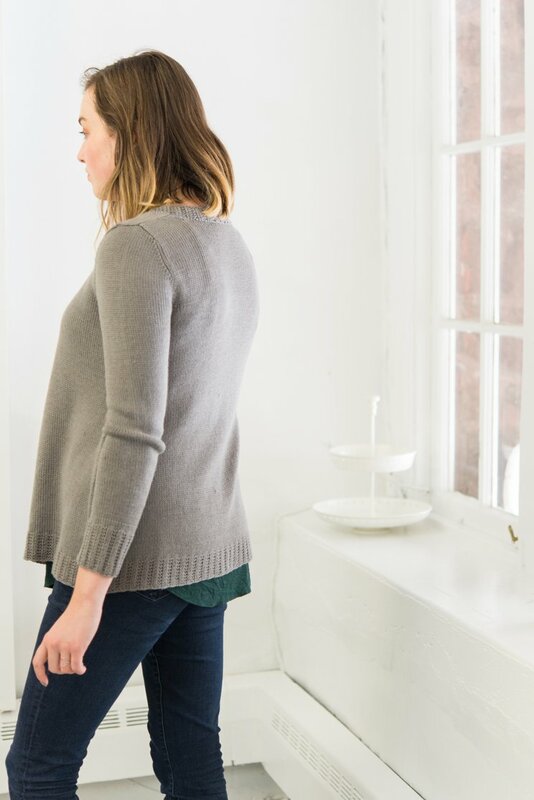 The A-line version is shown here in Taupe, with long sleeves, a long sweater length, and a relaxed fit. 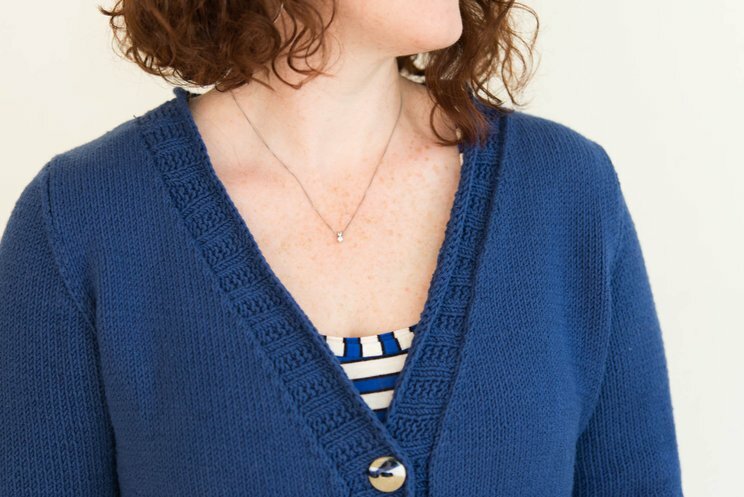 Additional views of this design show the hourglass version in a relaxed fit with 3/4 sleeves. 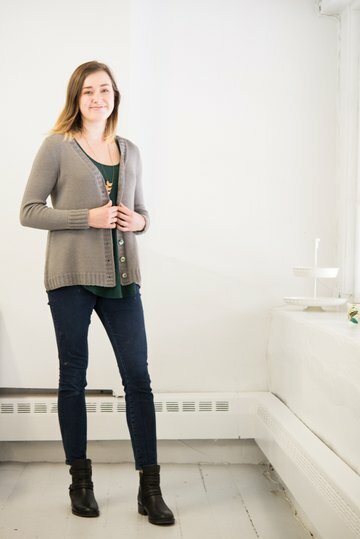 All Spruce Point Cardigan patterns feature a deep V-neck and Broken Rib trim. 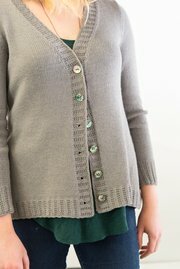 The A-line version is shown in the beautiful Rosy Green Wool Cheeky Merino Joy, available at Yarn Culture; the hourglass version is shown in Skacel CoBaSi Plus, a worsted-weight non-wool yarn that's both pleasant to work with and to wear. 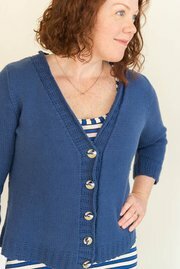 A-line version shown in the soft, ecologically-responsible, and great-to-wear Rosy Green Wool Cheeky Merino Joy. 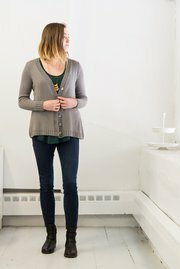 You can find the yarn at Yarn Culture. 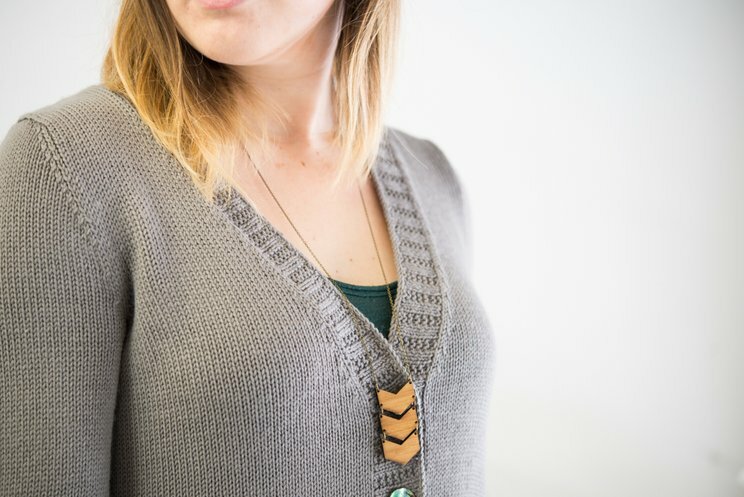 Shown in color "Taupe". 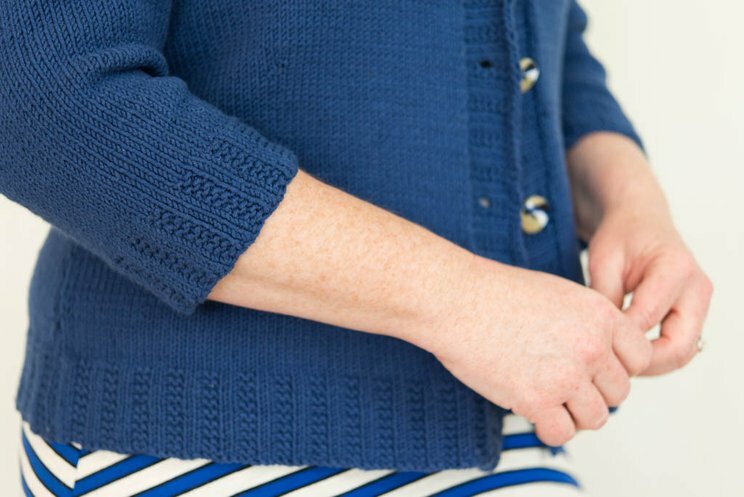 This sweater was also designed to work well with Crave Caravan, a wool-silk-camel-cashmere blend. 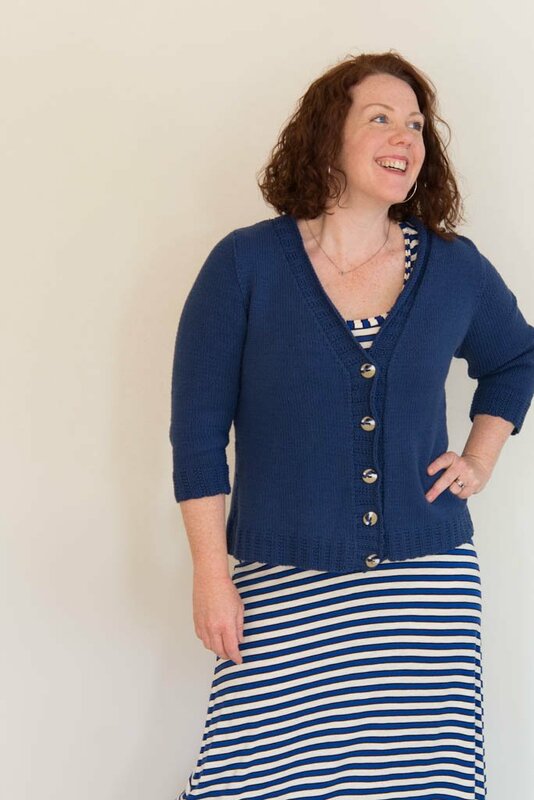 For a standard size 30½ (32¼, 34½, 36¼, 38½, 40¼, 42½, 44¼, 48¼, 52¼, 56¼, 60¼)’' / 77.5 (82, 87.5, 92, 98, 102, 108, 112.5, 122.5, 132.5, 143, 153) cm you'll need 4 (4, 4, 4, 5, 5, 5, 6, 6, 7, 7, 8) hanks of either of these two yarns.